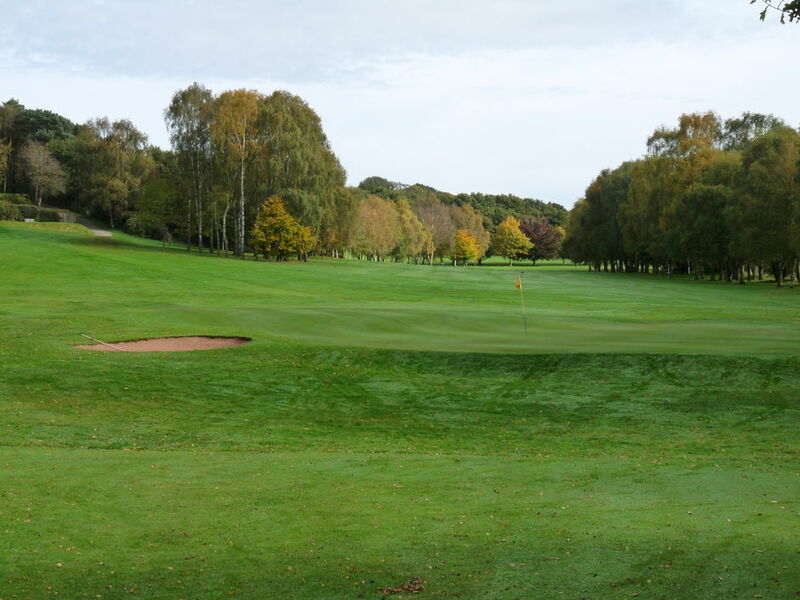 This par 5 is the longest hole on the Course and requires a good straight accurate drive off the tee to avoid a copse of trees on the left and out of bounds on the right. The fairway dog legs to the right and the second shot would normally be positioned at the corner to give a distance of approximately 150 yard to the well guarded green. 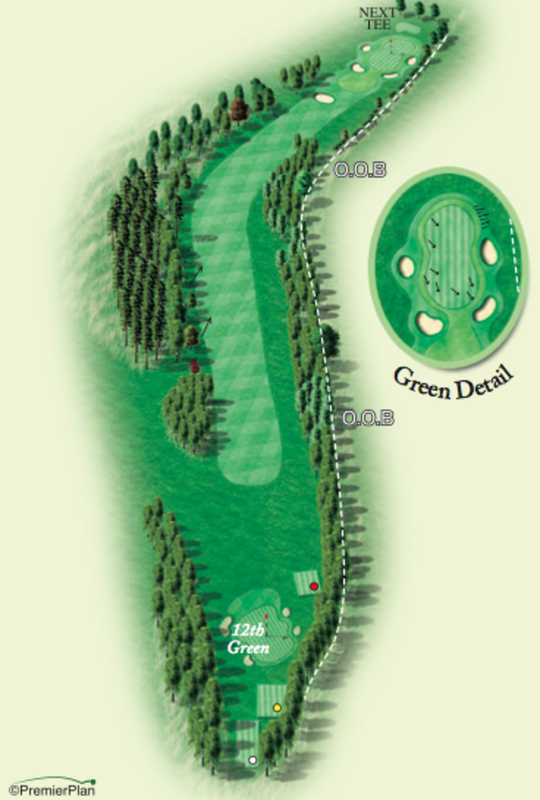 However the big hitter may be tempted to go over the trees with the purpose of reaching the green in two but this is a very dangerous shot as this will mean flirting with the out of bounds to reach the target.